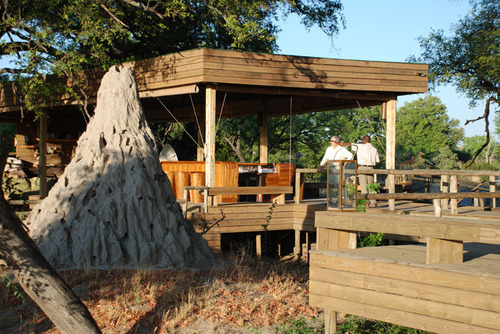 The bar at the camp, with a termite mound in front. There were termite mounds everywhere. We learned that termites are crucial to the ecology of the delta. Termites are also a delicacy, gathered by the basketful when tens of thousands erupt from the mounds at the start of the rainy season.